Order Palo Duck Noodles Soup or Bee Hoon Soup here. The noodles tastes like instant noodles and I love to eat instant noodles. If instant noodles is the replica, this would be the real deal. It tastes eggy and bouncy. The noodles are homemade and the ducks are braised at the back of the shop. My only complaint is that the soup maybe a little salty and seems like they added some MSG in the soup. The bee hoon soup version tastes good too, so you can order one of each. There is a certain quality of Wok Hei in soupy dishes as well. For some reason, maybe due to the sodium level or the viscosity in the soup, the duck noodles is served hot and remains hot for a long time. I believe that the reason food served hot tastes better is because the higher temperature is when the aroma exudes the most and there must be some kind of scientific basis where the smell of the food appeals to us more than the actual taste. 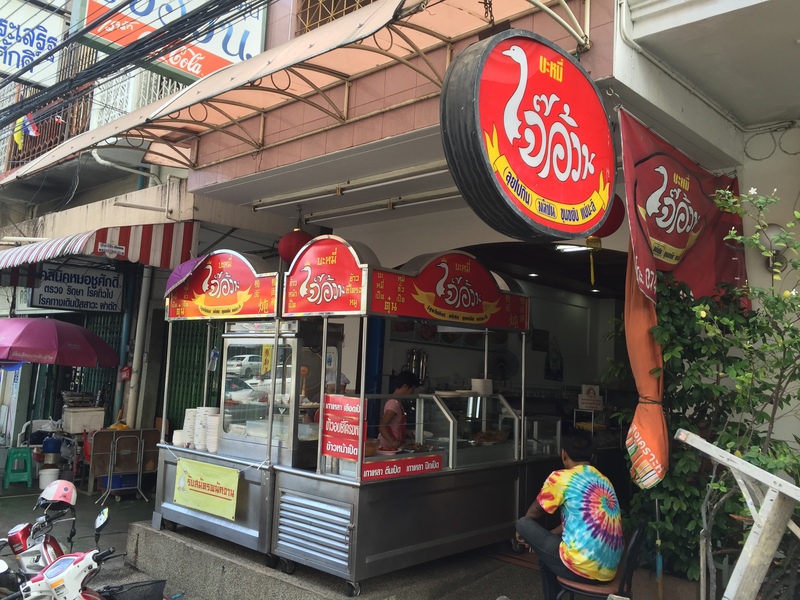 There is a stall that sells freshly peeled mangoes with sticky rice opposite this Palo Duck Noodles shop. Take note that you should buy from the one opposite and not the mango stall outside the Palo Duck Noodles shop. While the usual mangoes are sweet and juicy, I only settle for a rare type of mangoes where its fragrance overwhelms its sweetness. It’s call Orb Long mangoes and they only appear in season in April to June. Will review more about the Orb Long mangoes in April next year. Closed on days when they are tired, says the lady boss with a twinkle in her eye.